Tri-Clamp® Min Gasket Supplier in USA - SSP Manufacturing, Inc.
Tri-Clamp® Mini is one of the many types of gaskets used in industries where sanitation is a major requirement. 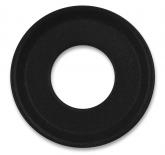 SSP Manufacturing, Inc. is a leading provider of these gaskets, which are made from materials that meet FDA approval. In sanitary process industry, Tri-clamp ® Mini is mainly used for sealing clamp connections in sanitary pipe lines. 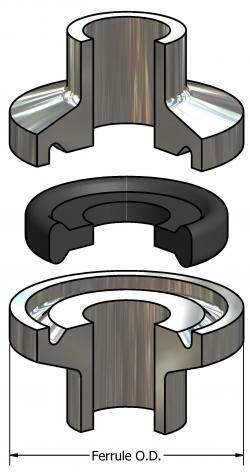 The dimensions of these types of gaskets are dependent on the application for which they are used. At SSP Manufacturing, Inc. we understand the value of providing high-quality products, along with the best-in-class service. Valuable feedback from our stakeholders, and amazing response from our customers have helped us attain a distinguishable recognition in the industry. We are known to provide the best-quality tri-clamp ® Mini sanitary gaskets, and we never compromise on the quality. Please contact us by phone 888-238-SEAL or email at rrom@sspseals.com, and our representative will address all your requests and queries.